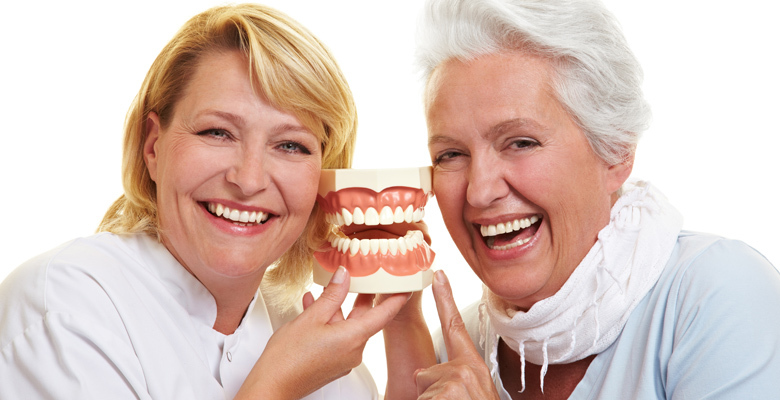 The cost of dentures is usually the main concern for denture clients. Without doing more research on the subject, the price of dentures could be the deciding factor when considering a new set. Those who have neglected their dentures for more than ten years suffer the most. During this period of time, changes occur not only in eating habits but social behavior as well. Therefore, it is important to concentrate on finding solutions for your individual needs instead of focusing on the price tag. When we compromise or settle for something less because of money, we may lose out on quality care. Removing the barrier of denture cost will help in making a better-educated decision. Even when patients learn about the problems that arise from extended wear of the same dentures, many continue to do so. They end up dealing with the discomfort and find ways to adapt to the sores and the pain. Many people seek advice from family members or friends about the best plans or deals available. However, each individual is different and has specific needs. Drawing comparisons will not give you the best option for you personally. New dentures are not just a product, but a treatment plan. Expertise and training are involved in creating a plan that will restore your smile and improve your confidence. Andriy Khomyn takes pride in giving you the smile you deserve. His denture clinic has many types of payment plans for services that can fit any budget. By getting rid of the stress of denture cost, you can focus on receiving the best treatment available without sacrificing quality. Personal one on one consultations are always free, and our denturist will listen to your needs. He can make a detailed assessment of your situation and answer any questions you have about the cost of dentures. This includes standard dentures, snap-on dentures, premium precision dentures and removable partial dentures.